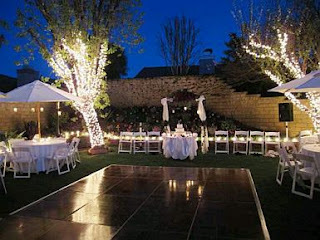 It has become fashionable weddings and outdoor receptions, and although until some time it was believed that only could organize something like this if the wedding was during the day, now that has changed, and is more with good lighting are assured not only the enjoyment of your guests, but it is an excellent choice of decoration. 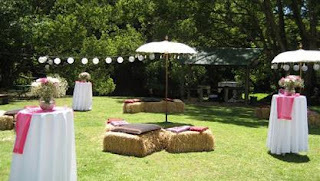 If you are a person who risk and who like to experiment with different things, we show you some pictures that show how beautiful are outdoor weddings and can help you to decorate yours if you decide you also have this style. 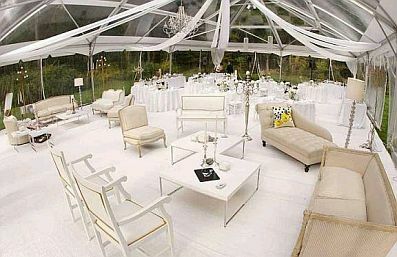 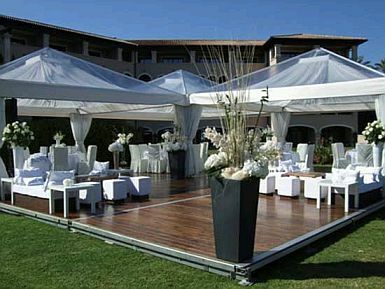 In this first picture you can see how well is the decoration of a wedding outdoors, when properly combined elements. 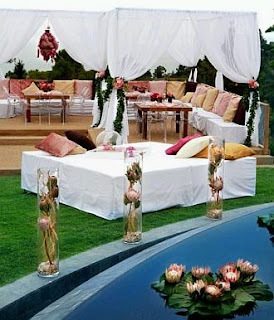 Normally it is not necessary to use many decorative accessories, as natural environments are often sufficient. 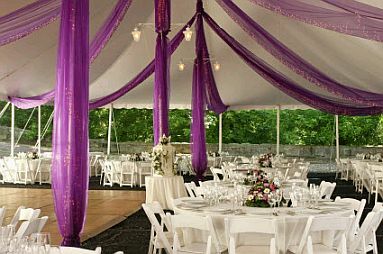 And if you want your wedding to have any particular color, here you can see how good it is to just put some cloths. 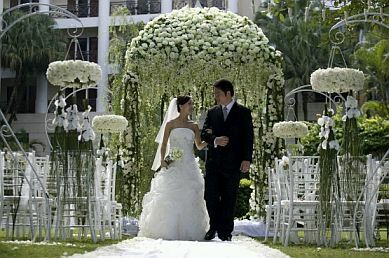 If you want to use flowers, here's a good example. Another sign that the environment is the best decorative part. Proposal for a wedding or reception setting, original and delicate. 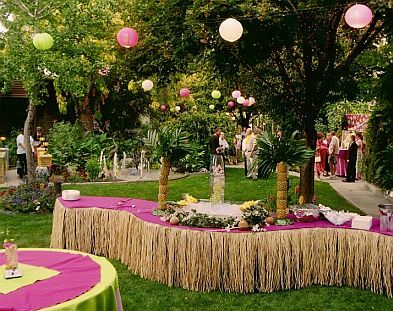 If you're worried about the lighting, here you can see that, far from being a problem is a complement to the decor that looks great. 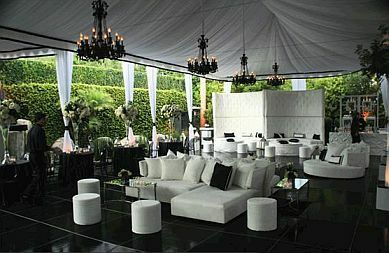 Very original proposal in which besides the traditional chairs, have a kind of sofas and large square areas where one can take a seat. 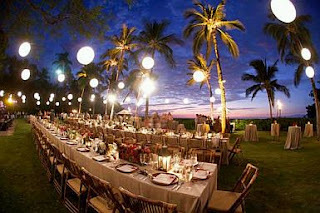 Another example of how well is a wedding outdoors, even at night. And of course, if you also have a setting as beautiful as this, full of palm trees, or perhaps the sea, surely decorate your outdoor wedding will be unforgettable.